ecoMaster demonstrates a simple method to make insulation fit into extra wide or narrow joists under the floor. Standard joists are typically spaced 430mm apart, making ecoMaster’s 450mm wide insulation perfect for a snug fit. However, not all houses adhere to this standard sizing with some homes having extra wide or narrow joists across the whole layout. Most houses do have a few rows of odd-width joists towards the edges of the structure. ecoMaster recommends their ‘turn and tear’ method to fit insulation into the odd-spaced joists. 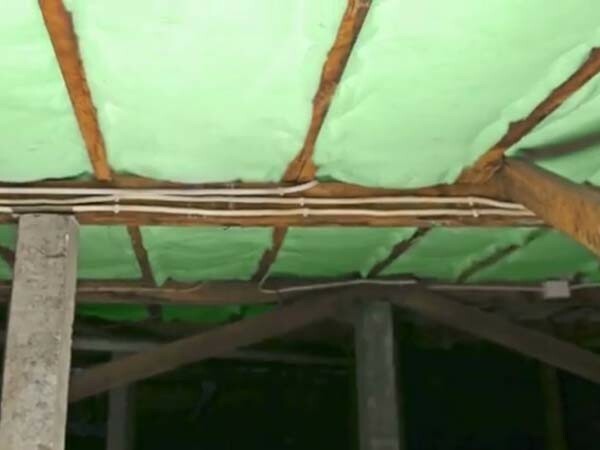 Since ecoMaster’s premium polyester insulation is designed to easily tear in one direction, it allows the installer to create sections that are the exact width needed to fit between the wide or narrow joists. Simply create the torn sections one by one and line them up between the joists, stapling as you go. In this video, Maurice Beinat demonstrates how to install ecoMaster polyester insulation using a stapling technique that’s exclusive to polyester. Is your home suitable for underfloor insulation?